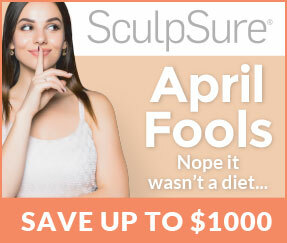 Radiance Fairfax Medspa offers a great acne treatment solution to help you have clear beautiful skin. How can I get rid of these pimples? Acne treatments have come a long way in the last decade because treating this condition successfully is much easier once it became better understood. Approximately 90% of all adolescents and 25% of all adults experience acne at some point in their lives. 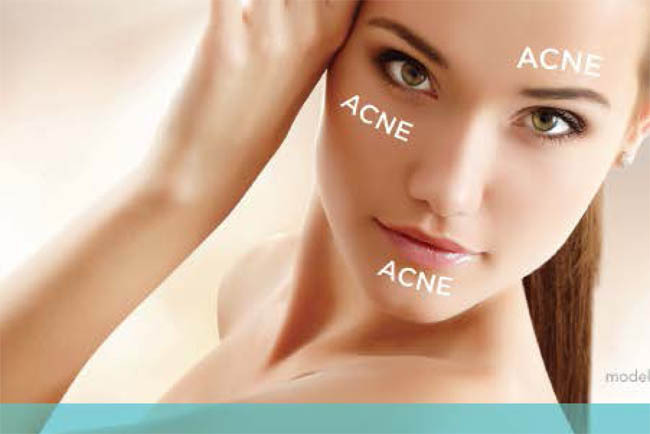 Acne has proven to be an equal opportunity employer as it effects both men and woman. Many women suffer from "hormonal acne" — their outbreaks are tied to the hormonal changes related to their menstrual cycle. While hormonal acne typically starts between the ages of 20-25, it can strike teenagers as well. Hormonal acne is sometimes persistent in women over the age of 30. Men are more prone to severe, longer-lasting forms acne. Acne is a very common, chronic skin condition caused by inflammation of oil-producing sebaceous glands. Pimple breakouts are most common on the face, but can also occur on the neck, chest, back, shoulders, upper arms and legs, as well as the scalp. When the skin's sebaceous glands produce too much oil this contributes to clogged pores at the skin's surface, and also can provide an ideal environment for the bacteria Propionibacterium acnes to grow unchecked. Dead skin cells clog pores and the result is pimples, whiteheads, blackheads and inflammation.Unfortunately, it can be difficult to treat. An acne breakout starts in the skin's tiny holes, also called pores. In about two to three weeks a blemish usually will show up on the skin's surface. Deep within each pore, a sebaceous gland is producing sebum, an oil that keeps skin soft and moist. As the skin renews itself, old skin cells die and are shed off. Under the best circumstances, this happens evenly and gradually, making way for fresh new skin. People that are prone to acne, shed skin unevenly that causes dead cells mix with sebum and clump together to form a sticky plug. This plug traps oil and bacteria inside the pore — the beginning of a blemish. Do not over wash or use harsh scrubs. Acne is not caused by dirt. Do not use alcohol-based products. Alcohol strips the top layer of the skin and many astringents contain alcohol which can cause dryness and irritation. Beware of sweat. Working out heats up the body, and perspiration makes the skin an even more attractive environment for acne bacteria to grow. If you haven't found a treatment that works, you are not alone. Traditional therapies have a variety of side effects and sometimes require months to work, if they work at all. Topical creams and lotions have been known to cause redness and irritation. Oral antibiotics can cause stomach upset, light sensitivity and yeast infections in women, and recent studies indicate about 40% of skin bacteria have become resistant to antibiotics, making them a doubtful ally in the fight against skin breakouts. While hardly life threatening, acne can leave life-long emotional and physical scars — a reminder of the embarrassment and self-consciousness that comes with the pimples. Prescription medications, such as antibiotics, require at least three months of continuous treatment before any improvement can be expected. 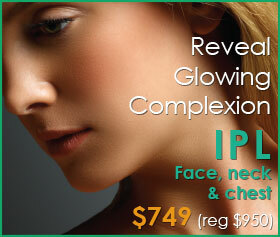 IPL Acne Therapy is an effective light-based treatment is now revolutionizing the treatment of acne. The IPL Light destroys the most common bacteria that cause acne — without drugs, without pain and without downtime. The IPL system has been approved by the FDA for the treatment of acne. 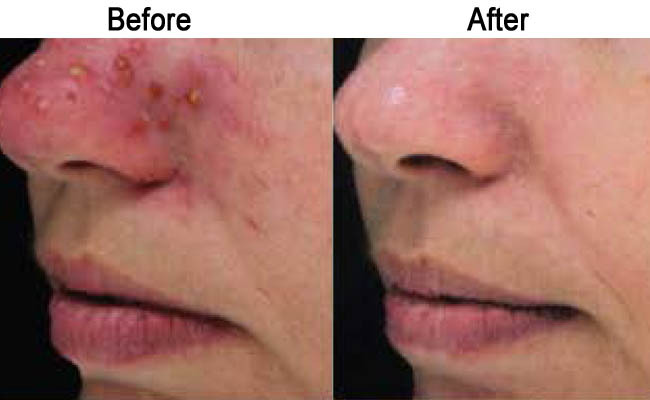 Intense Pulsed light (IPL) combines light and heat to destroy propionibacterium acnes, P. acnes. It also shrinks the sebaceous glands to stop overproduction of oils that cause acne. The light emitted directly targets overactive sebaceous glands, reducing the number and severity of active breakouts, and lessening the inflammation and occurrence of break-outs. The light stimulates the production of new collagen to improve skin texture, and can also reduce the appearance of red or brown areas of skin that are often associated with acne breakouts. How is this treatment different than an IPL photofacial? Intense pulsed light (IPL) uses short bursts of high intensity light to treat a variety of skin conditions. IPL treatments usually use a broad spectrum light source, much like standard white light. Today’s technology allows varying choices of handpieces that act like “filters” for the light. When this specific handpiece is used, it limits the light to a specific range of wavelengths that targets the acne, pigment, hair, or collagen. Further, the treatments may be shorter because it will only focus on the areas that have active sebaceous glands. Intense Pulsed Light (IPL) is one of the safest acne treatments available…proven to be extremely effective on moderate inflammatory acne. Its technology uses light that is UV-safe and has no known side effects. People with photosensitivity should inquire with our clinicians. Studies show that intense pulsed light therapy as a single treatment leads to significant acne clearance. Combining Light therapy with in office or home care may further enhance the benefits. Almost everyone can be treated, apart from very dark skinned or tanned individuals. If you are pregnant or taking Accutane (an acne medication) it is best not to undergo laser of any type. Treatment may be mildly uncomfortable but no anesthesia is required. Many people describe the sensation as similar to the flick of an elastic band. Immediately after treatment the skin may appear red and a warm tingling sensation may be felt. 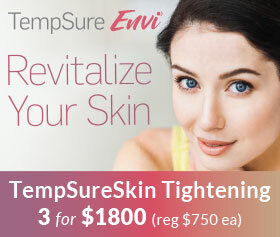 Typically the skin is cooled to ease any discomfort. 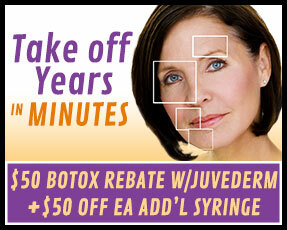 A typical treatment session is approximately 20 minutes. Intense Pulsed Light Therapy (IPL) may be combined with glycolic acid facial peels or silk peel microdermabrasion for maximum results. The number of treatments necessary varies from person to person, but typically 6 intense pulsed light and 6 exfoliating treatments will result in a significant improvement. Pulsed Light treatments should take place with a glycolic acid peel or silk peel microdermabrasion treatment in between Intense Pulsed Light sessions. It is also best to maintain the results with monthly or bi-monthly in office treatments and home care. 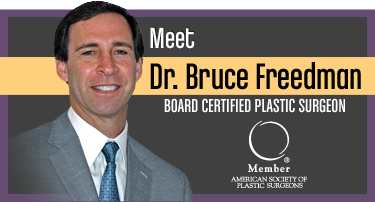 Call 703.222.0173 to set up a complimentary consultation.